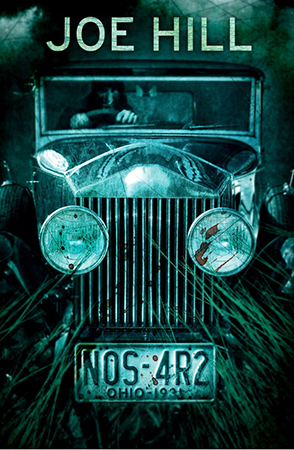 NOS-4R2 is a big book, a bumper book of horror and psychological terror very much in the vein of those classic erstwhile horror tales of one Mr Stephen King, American Hero. A fitting comparison perhaps given that itâ€™ll come as no surprise to anyone that Joe Hill is Kingâ€™s son but… with that out of the way, Iâ€™d really like to focus more on Joe himself, and this my friends, is his latest journey into crooked imagination…. Of course the horror here lies in the social devastation this leaves behind, and together with his disquietingly evil cohort, the child-like but utterly psychotic Bing â€œThe Gasmask Manâ€ Partridge and his gingerbread smoke, both Manx and Bing, and Christmasland itself, are a truly terrifying concoction. 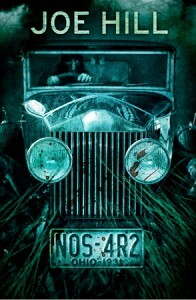 And then thereâ€™s the car: a 1938 black Rolls Royce Wraith, a magical thing that drives itself through whatâ€™s termed â€œthe inscapeâ€ of Manxâ€™s twisted imagination, an alternative parallel universe of the mind, where The St. Nick Parkway and The Night Road stretch across a contorted United Inscapes of America, taking in Lovecraft Keyhole, The Treehouse Of The Mind, The Graveyard Of What Might Be, and The House Of Sleep, before rolling into the garage of Â Christmasland itself. Into such a bizarre world we have Vic McQueen, our heroine, the only child who ever â€˜escapedâ€™ Charlie Manx, but who spends a lifetime suffering because of it. When Manx comes for her own son, Bruce Wayne McQueen, to steer him away from a life of misery with his screwed up and now separated Ma and Pa, the gloves are off, and what ensues is a battle of wills in which you canâ€™t help but root for Vic, having endured the best part of 200 pages of character building up to this point. In truth, Hill sets up both sides of the fence very quickly, but with 30-odd years to cover there is a lot to catch up with, and I did find myself hooked early on (and somewhat disturbed in that creepy weird way when you know things are seriously screwed up somewhere). The first part does have a King-ish feel to it… we have creepy old men, sick and perverted individuals, possessed cars, freaky happenings, telephones ringing when not connected to anything, and so on and so forth, but then we also start to learn more about this surreal landscape, and it all starts to make a twisted kind of sense. Hillâ€™s character-building is rock solid, all of them coming across as highly motivated messed up personalities, with a handful of associated ticks and trappings. Vic herself has a bicycle (later a Triumph motorcycle) which takes her across â€˜the ShorterWayBridgeâ€™, an old wooden thing full of bats and graffiti that materialises out of nowhere and leads her wherever she needs to be. 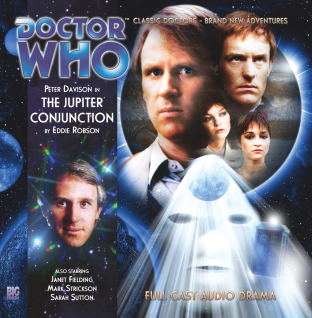 Utilising this, she is able to cross half of America in the space of minutes, and uses it throughout for all manner of things, whether that be to find lost things for her friends, meet people she needs to meet, or to confront Manx himself towards the end. Then we have her husband, Lou, a great mechanic who happens to be a proper geek, even naming his son after one of his all-time heroes, Batman. Game of Thrones and Firefly get a look in too, as Joe Hill again tips his hat to geek-fiends the world over. Lou is probably the most â€˜normalâ€™ character in the whole book, by the way. And then thereâ€™s Maggie Leigh, a stuttering librarian with a drawstring bag of infinite Scrabble tiles which she uses to spell things out. These act like some kind of distorted ticker tape news channel, informing her of events, all of which are either happening already or are maybe just about to. And finally, thereâ€™s the aforementioned Manx, Bing, and his Wraith, a character in itself, and an effective vehicle for crossing time and space, bridging the gap between our universe and the next, which just happens to be the landscape of the mind, I suspect. Thereâ€™s a lot of book here â€” illustrated throughout by Gabriel RodrÃ­guez â€” and a surreal universe that beggars belief at times, but all credit to Joe Hill for creating a setting that manages to sprawl everywhere yet still maintain a tightness of plot and storyline which belies the fact itâ€™s still a jaw-dropping monster of a book in every sense of the word. A highly recommended and imaginative tale, this will coax you in, swallow you up, and leave a nasty taste in the mouth next time Christmas comes round.